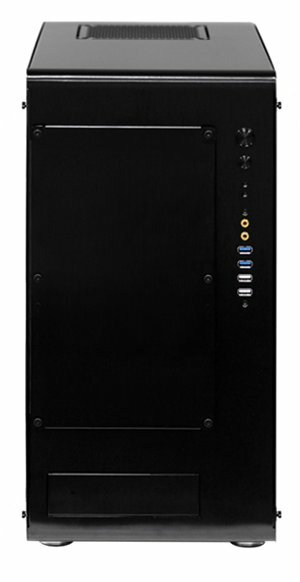 Cubitek presents the Magic Cube AIO, a new case it claims to be world's smallest EATX chassis. The specifications can be found over here. Cubitek, a manufacturer of PC chassis, is pleased to announce the world's smallest case supporting an EATX motherboard – Magic Cube AIO. Cubitek's Magic Cube AIO is ideal for gamers wanting the power of an EATX in a size that is easy to carry to LAN parties, as well as users who want to build a high-performance PC but have a limited computing area. With the dimensions of 9.61” x 19.36” x 18.78” (W x H x D), the aluminum constructed Magic Cube AIO is designed to make the most out of every available space – allowing users to install the hardware they want in a chassis with a exceptionally small footprint. The Magic Cube AIO doesn't waste space in its placement options for its 3.5”HDDs and 2.5” SSDs. One 3.5” HDD and one 2.5” SSD are designed to be placed on top of the 5.25” optical drive cage, while another 3.5” HDD fits below the same 5.25” optical drive cage which is located at the bottom of the chassis. Three more 3.5” HDDs and one more 2.5” SSD can be easily installed behind the motherboard tray. Despite of the Magic Cube AIO's small chassis size, there is room for VGA cards up to 14.17” (360mm) in length, enough for the latest graphics cards on the market, thanks to its great internal layout. The future expandability. The front two 140(mm) fans, rear 120 (mm) fan, and top 140 (mm) fan with blue LED illumination keep your hardware within the Magic Cube AIO at stable system temperatures. 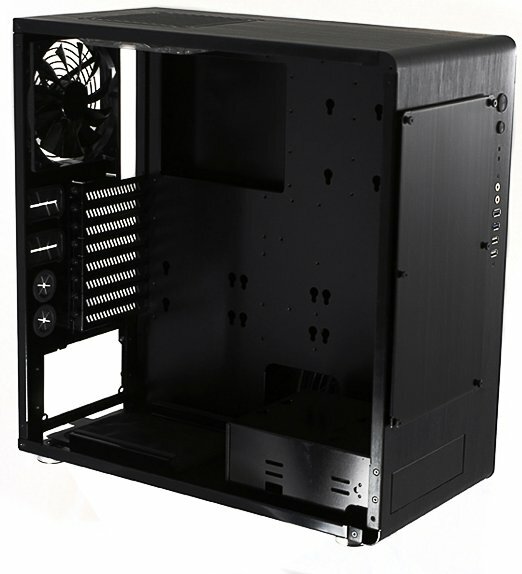 The cool air can travel unobstructed throughout the case thanks to the 0.7” (19 (mm) ) space behind the motherboard tray for neat and easy cable management. For even more cooling, the latest CPU coolers with a maximum height of 7.1” (180 (mm) ) can be easily installed inside the Magic Cube AIO. The two USB 3.0 ports, two USB 2.0 ports, and gold-plated audio input/output with anti-jamming capabilities are all easy-to-reach and use as they are located on the front panel. Magic Cube AIO will be available through selected partners in various countries in the beginning of May at the suggested retail price of USD $ 279.90 excluding VAT.